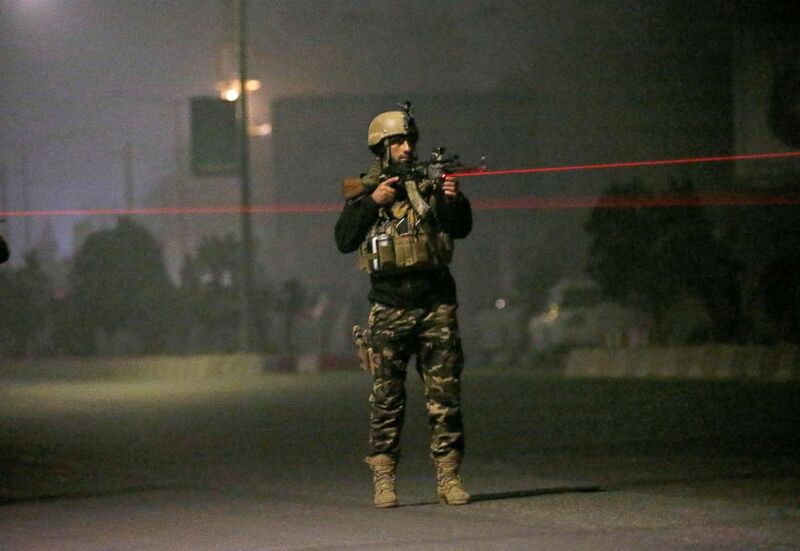 Gunmen waged an attacked on the Intercontinental Hotel in the Afghan capital. At least 18 civilians were killed in a fiery siege that began Saturday night at the Intercontinental Hotel in Afghanistan's capital of Kabul and ended 11 hours later with the deaths of six Taliban attackers dressed in suits and wielding AK-47 assault rifles, according to witnesses and the country's interior ministry. The Taliban claimed responsibility for the attack. The terror group's spokesman Zabihullah Mujahid said the insurgents initially planned to ambush the hotel Thursday night but postponed the assault because there was a wedding underway and they wanted to avoid civilian casualties. Ministry spokesman Najib Danish told ABC News on Sunday that in addition to the 18 who died, 10 were injured -- six police officers and four civilians. He added that the "heavily armed assailants" used hand grenades in addition to the AK-47s. A waiter in the hotel restaurant said the attackers were well-dressed in suits and ordered food prior to the killing spree. "I brought them food," the waiter, Haseebullah, 24, told TOLOnews in Afghanistan. "After eating their food, they started firing on people." ANALYSIS: Losing troops and territory, will a new US strategy change the Afghan war? Haseebullah said the attackers suddenly got up from their chairs, took out the AK-47 assault rifles and started shooting people at random. "I saw many dead bodies around me and I was the only one alive," Haseebullah said. 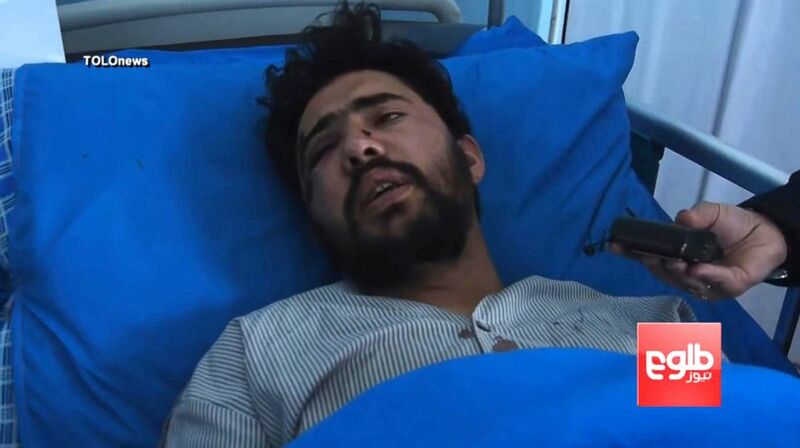 (TOLOnews) Survivors of the attack on the InterContinental Hotel in Kabul on Jan. 20 tell their stories. He said he and 11 other people escaped to the fifth-floor of the hotel and hid in a room. "But the attackers were opening doors of each room" and opened fire on anyone inside the rooms. (Mohammad Ismail/Reuters) An Afghan security force keeps watch near the site of an attack on the Intercontinental Hotel in Kabul, Afghanistan Jan. 20, 2018. Danish said 14 of the civilians killed were foreigners and the others were Afghan nationals. Among the slain foreigners were nine Ukrainians, two South Africans, one Kazakhstani and one Greek. The nationality of one of the foreigners who was killed has yet to be determined. Kam Air, a low-cost airline headquartered in Kabul, issued a statement Sunday saying members of its staff were killed in the attack, including pilots and flight engineers. The airline did not specify how many of its employees were killed. The Associated Press, however, reported two Venezuelan pilots with the company were among those killed, according to a brother-in-law of one of the victims. The U.S. Embassy in Kabul issued a security alert Saturday, saying a "series of explosions" erupted at the Intercontinental Hotel around 9 p.m. local time on Saturday. The siege continued into Sunday morning. Video aired by the BBC showed large flames and black smoke billowing from the top-floor rooms of the 49-year-old hotel, which sits on a hilltop overlooking Kabul. The footage also showed people using bed sheets to climb out of rooms to safety. The siege came as the United Nations Assistance Mission in Afghanistan was preparing to hold a technology conference at the hotel. Following the attack, Afghan special forces searched room by room to ensure that all of the attackers had been accounted for. Danish said 160 hotel guests and staff, including 41 foreigners, were rescued. The U.S. Secretary of State Rex Tillerson condemned the attack in a statement, saying the U.S. mourned those who lost their lives, "whether Afghan citizens or citizens of other countries." "We offer our deepest condolences to the families and friends of those who were killed and wish for the speedy recovery of those wounded," he said. The Taliban claimed responsibility for the deadly siege, saying five attackers stormed the hotel specifically to target foreign nationals and Afghan officials. The Taliban staged a similar strike on the same hotel in 2011, in which 21 people were killed, including nine attackers. "We have seen the Taliban's claim of responsibility and condemn terrorist groups for their violent campaign against Afghan and foreign personnel working to improve Afghanistan," Tillerson said in the statement. "The United States stands with the government and people of Afghanistan. We remain firmly committed to supporting Afghan efforts to achieve peace, security, and prosperity for their country. Violence like what we witnessed yesterday has no place in Afghanistan, or anywhere else in the world. 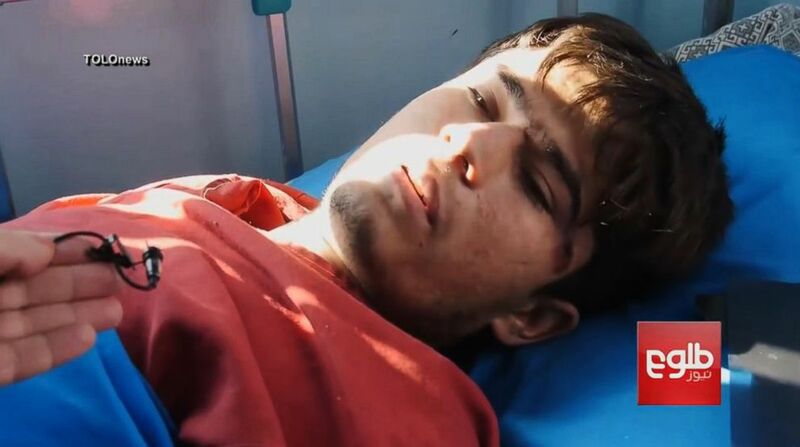 "There is simply no justification for this egregious attack, which is specifically prohibited by International Humanitarian Law and may amount to a war crime," Tadamichi Yamamoto, the UN secretary-general's special representative in Afghanistan, said in a statement on Sunday. "It is a moral outrage that the Taliban entered the hotel with the intention of killing civilians."